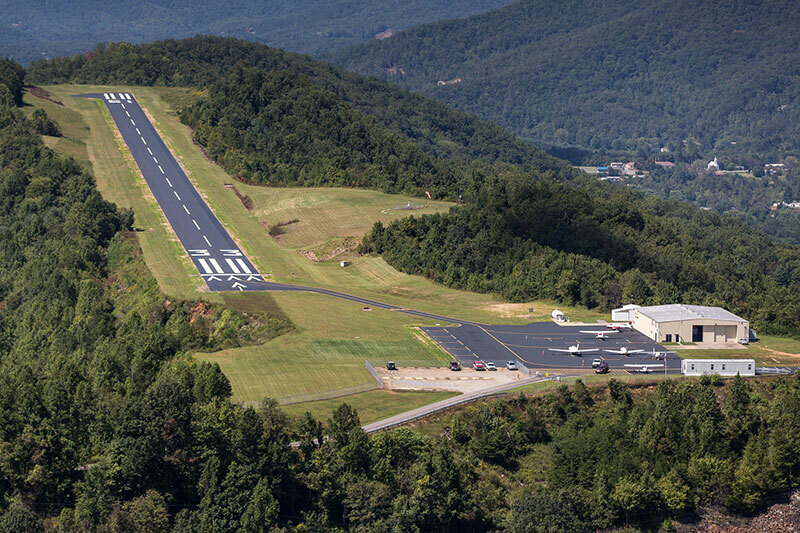 The Jackson County Airport is a public, general aviation airport located three miles (by air) southeast of Sylva, the county seat, and one mile from Western Carolina University. The airport is the most scenic mountain airport in North Carolina, situated on a ridge at just over 2,800 feet with 360 panoramic views of the Great Smoky and Blue Ridge mountains. The facility is open 24-7 with self-service 100 low-lead fuel, accessible restrooms and a planning area. Free Wi-Fi is available on the field. Aircraft operating from the field generally ranges from light-sport, single and twin engine general aviation aircraft, with occasional turbo-prop aircraft such as Pilatus PC-12 and helicopter activity. Address: Airport Road, Sylva, North Carolina 28779. Driving Directions: From Sylva, follow NC-107 South for approximately five miles to the traffic light at Little Savannah Road, across from Western Carolina University. Turn right and travel approximately one and one-half miles. Turn right onto Airport Road and proceed a one half mile to the gated entrance to the field. Contact: Airport Operations Manager (828-586-0321). 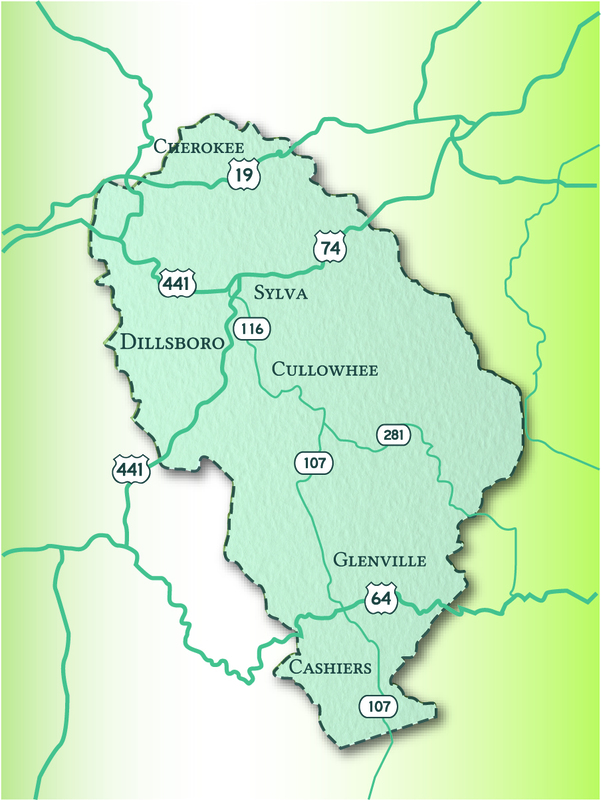 Ground Transportation: Taxi service is available; rental cars through Enterprise in Sylva.